Jose Mourinho is not wanted at Manchester United by Sir Bobby Charlton, Sir Alex Ferguson or David Gill, according to Samuel Luckhurst who is a journalist from the Manchester Evening News. 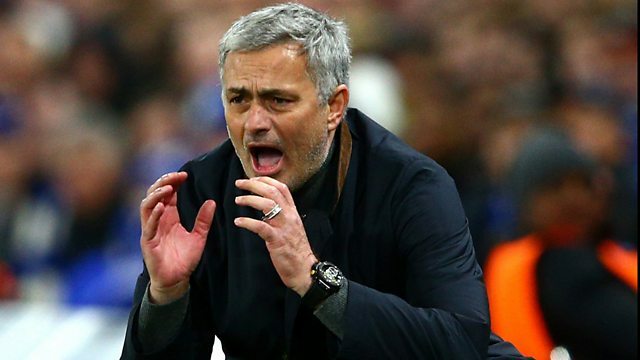 Jose Mourinho is the bookmakers’ favourite for the Old Trafford job, but apparently he isn't a man in demand. "Sir Bobby Charlton, Sir Alex Ferguson and even David Gill don’t appear to want Jose Mourinho to become the next Manchester United manager," he told 5 live Sport's Mark Chapman. "There's an awful lot of cheerleading still going on for Ryan Giggs, which a lot of Manchester United fans find baffling." This clip is from 5 live Sport on Monday 22 February 2016.